On Jan. 4 of last year, a local narcotics strike force conducted a raid on the Ogden, Utah, home of Matthew David Stewart at 8:40 p.m. The 12 officers were acting on a tip from Mr. Stewart's former girlfriend, who said that he was growing marijuana in his basement. Mr. Stewart awoke, naked, to the sound of a battering ram taking down his door. Thinking that he was being invaded by criminals, as he later claimed, he grabbed his 9-millimeter Beretta pistol. The police found 16 small marijuana plants in Mr. Stewart's basement. 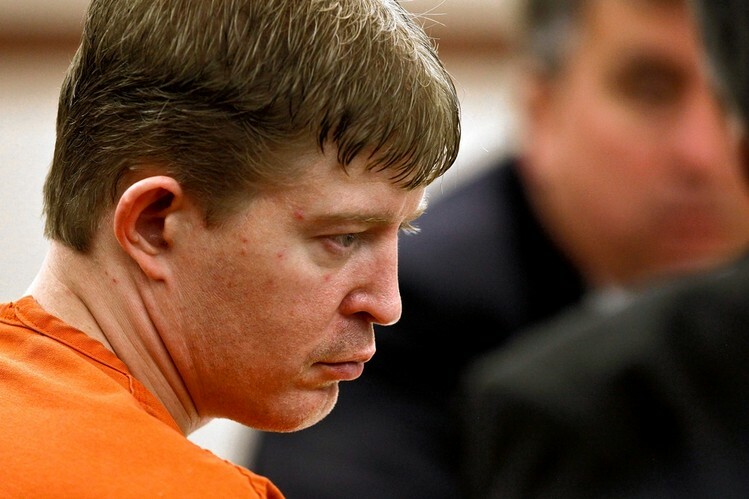 There was no evidence that Mr. Stewart, a U.S. military veteran with no prior criminal record, was selling marijuana. Mr. Stewart's father said that his son suffered from post-traumatic stress disorder and may have smoked the marijuana to self-medicate. 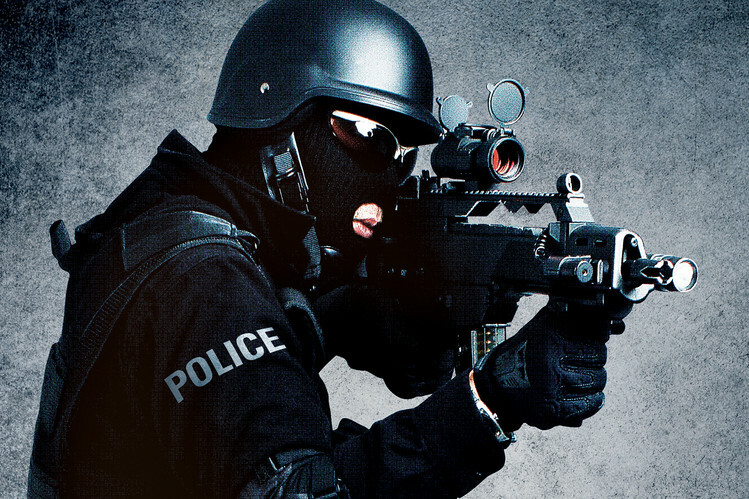 The acronym SWAT stands for Special Weapons and Tactics. Such police units are trained in methods similar to those used by the special forces in the military. They learn to break into homes with battering rams and to use incendiary devices called flashbang grenades, which are designed to blind and deafen anyone nearby. Their usual aim is to "clear" a building—that is, to remove any threats and distractions (including pets) and to subdue the occupants as quickly as possible. The country's first official SWAT team started in the late 1960s in Los Angeles. By 1975, there were approximately 500 such units. Today, there are thousands. 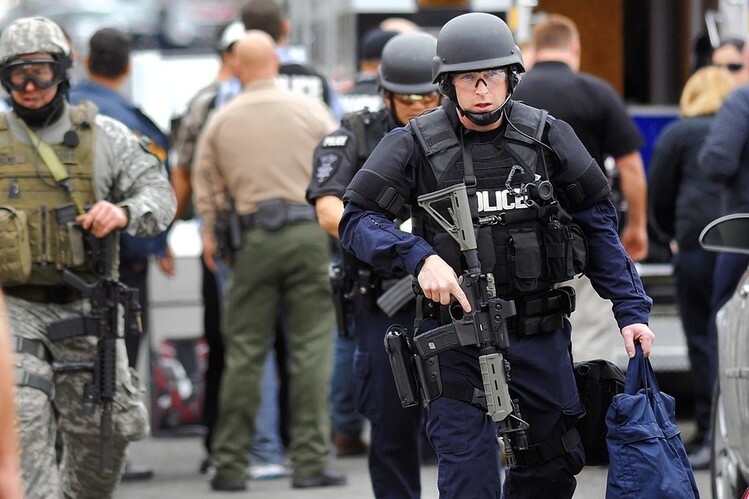 According to surveys conducted by the criminologist Peter Kraska of Eastern Kentucky University, just 13% of towns between 25,000 and 50,000 people had a SWAT team in 1983. By 2005, the figure was up to 80%. The number of raids conducted by SWAT-like police units has grown accordingly. In the 1970s, there were just a few hundred a year; by the early 1980s, there were some 3,000 a year. In 2005 (the last year for which Dr. Kraska collected data), there were approximately 50,000 raids. Some federal agencies also now have their own SWAT teams, including NASA and the Department of the Interior. The idea for the first SWAT team in Los Angeles arose during the domestic strife and civil unrest of the mid-1960s. Daryl Gates, then an inspector with the Los Angeles Police Department, had grown frustrated with his department's inability to respond effectively to incidents like the 1965 Watts riots. So his thoughts turned to the military. He was drawn in particular to Marine Special Forces and began to envision an elite group of police officers who could respond in a similar manner to dangerous domestic disturbances. In 2006, 38-year-old optometrist Sal Culosi was shot and killed by a Fairfax County, Va., SWAT officer. The investigation began when an undercover detective overheard Mr. Culosi wagering on college football games with some buddies at a bar. The department sent a SWAT team after Mr. Culosi, who had no prior criminal record or any history of violence. As the SWAT team descended, one officer fired a single bullet that pierced Mr. Culosi's heart. The police say that the shot was an accident. Mr. Culosi's family suspects the officer saw Mr. Culosi reaching for his cellphone and thought he had a gun. In 2010, the police department in New Haven, Conn., sent its SWAT team to raid a bar where police believed there was underage drinking. For sheer absurdity, it is hard to beat the 2006 story about the Tibetan monks who had overstayed their visas while visiting America on a peace mission. In Iowa, the hapless holy men were apprehended by a SWAT team in full gear. In my own research, I have collected over 50 examples in which innocent people were killed in raids to enforce warrants for crimes that are either nonviolent or consensual (that is, crimes such as drug use or gambling, in which all parties participate voluntarily). These victims were bystanders, or the police later found no evidence of the crime for which the victim was being investigated. They include Katherine Johnston, a 92-year-old woman killed by an Atlanta narcotics team acting on a bad tip from an informant in 2006; Alberto Sepulveda, an 11-year-old accidentally shot by a California SWAT officer during a 2000 drug raid; and Eurie Stamps, killed in a 2011 raid on his home in Framingham, Mass., when an officer says his gun mistakenly discharged. Mr. Stamps wasn't a suspect in the investigation. Consider today's police recruitment videos (widely available on YouTube), which often feature cops rappelling from helicopters, shooting big guns, kicking down doors and tackling suspects. Such campaigns embody an American policing culture that has become too isolated, confrontational and militaristic, and they tend to attract recruits for the wrong reasons. If you browse online police discussion boards, or chat with younger cops today, you will often encounter some version of the phrase, "Whatever I need to do to get home safe." It is a sentiment that suggests that every interaction with a citizen may be the officer's last. Nor does it help when political leaders lend support to this militaristic self-image, as New York City Mayor Michael Bloomberg did in 2011 by declaring, "I have my own army in the NYPD—the seventh largest army in the world." In this very different view of policing, cops walk beats, interact with citizens and consider themselves part of the neighborhoods they patrol—and therefore have a stake in those communities. It's all about a baton-twirling "Officer Friendly" rather than a Taser-toting RoboCop. Published in WSJ August 7th 2013.